Window blinds are beneficial for many reasons. They block out excess sunlight in the summer, help keep a house warm in the winter and help increase privacy. Painted or colourful blinds can also enhance the appearance of a home. There are many different types of window blinds you can choose from. Venetian blinds are one of the three main types of blinds available. 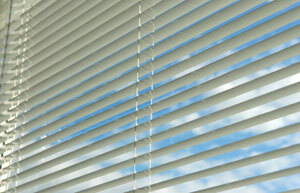 Venetian blinds can be made from wood or aluminium. Aluminium Venetian blinds, made of rotating horizontal aluminium strips, are one of the more popular window coverings in Australia. Attractive and durable, they are great for providing a balance between both privacy and light control. Venetian window blinds have been in use or many years and are ranked highly compared to other window coverings. 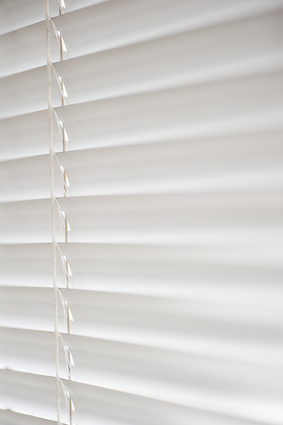 Aluminium venetian blinds consist of fully adjustable, aluminium horizontal slats that overlap. The slats come in various widths, with the most common widths being 50mm, 25mm and 16mm. All our aluminium venetians are made of 0.23mm-gauge slats. This is thickest slat on the market, offering great durability, and allowing us to curve the slat to provide the best possible closure. We offer aluminium venetian blinds in a range of sizes. Available in over 80 colours – a shade to suit every décor. These are longer lasting Venetian Blinds, and create a more traditional look to to your windows. This product can last a lifetime. Micro Venetians provide you with a smart, elegant look. These aluminium venetians are perfect for small-drop windows, but require high cleaning maintenance, and are not recommended for longer-drop windows as they provide poor closure when used this way. 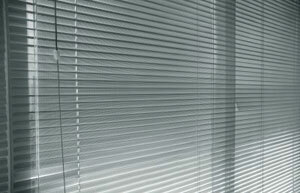 Perforated Venetian Blinds are an up-market product that gives a softer look. They provide daytime privacy without removing your view. Available in 25mm and 50mm slats. Aluminium venetian blinds have several appealing qualities that make them a good choice for any home. To begin with, they come in different colours and finishes. This makes them adaptable to a wide range of interior designs. Even though aluminium is not a very attractive material, the high quality production of aluminium venetian blinds ensures that the final product is aesthetically appealing. These blinds can provide your home with a sleek, contemporary look. You can install them on their own or combine them with another kind of window covering. Another quality of aluminium venetian blinds is durability. Aluminium is an anticorrosive and durable material. The slats of aluminium blinds do not break easily, even though they are easy to bend. These blinds also reflect sunlight well and they can therefore make your home more energy efficient. When fully closed, they totally block light and can therefore give you complete privacy. Aluminium blinds are also easy to install. Since they are lightweight, you can easily transport them and mount them on your windows or the walls above them. You can also attach them to glass doors by clipping them to the rail attached along the bottom of the doors. This will ensure that they remain stable when the door is closed or opened. Aluminium venetian blinds are also easy to maintain. You can clean them using a feather duster, soft cloth or soft haired brush. You may also use a vacuum cleaner to clean them. The only precaution you should take when using a vacuum cleaner for this purpose is to use the lowest power. These blinds are also completely waterproof and you can therefore use them in kitchens and bathrooms. They are also fade resistant. Aluminium venetian blinds can be wand operated or motorised for ease of use. In order to open or close wand operated blinds, you only have to rotate the wand clockwise or anticlockwise. The motorised blinds can be controlled through a remote. If you have young children, you can have a child safety device installed on your blinds. Since aluminium venetian blinds offer many benefits, they are a great option for any home and you can purchase them from our reputable store. Our store has a wide collection of stylish blinds. If you would like more information about the aluminium blinds that we offer, you can contact our customer service department on 02 8824 7975. You may also fill out the online quote form on our website and we will contact you within a day to discuss your window covering needs.